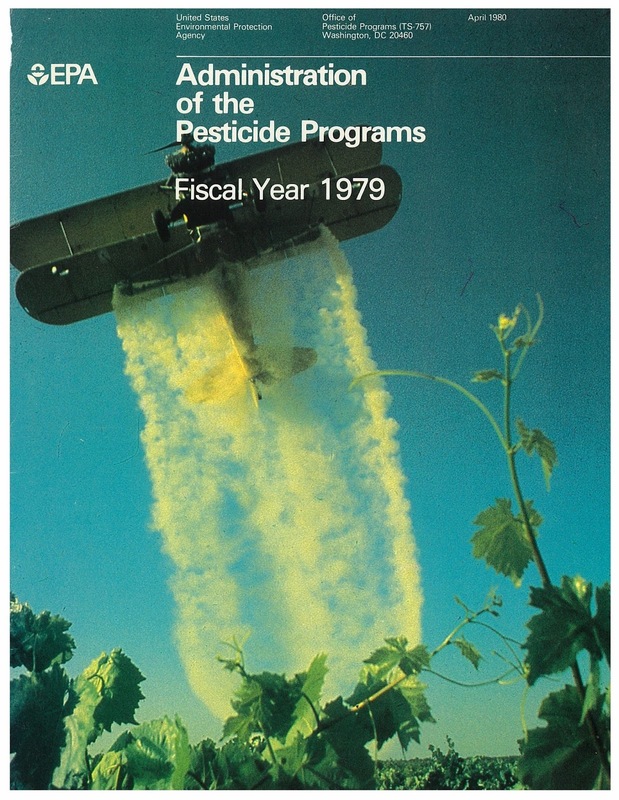 Cover of a magazine published by the Office of Pesticide Programs of the US EPA, April 1980. For example, even infants are no longer safe. Monsanto’s weed killer glyphosate shortens the pregnancy of women. But this biocide does additional harm. Glyphosate, of course, is merely one of hundreds of biocides harming humans and the natural world. These synthetic chemicals fuel a gigantic industrialized agriculture that, next to the burning of petroleum, coal, and natural gas, is responsible for warming the planet. Global warming is an existential threat to all living things, including destabilizing the Earth. The weather machine, fueled by the burning of fossil fuels and agriculture, has been hitting us with hurricanes, draughts, extreme rainfall, wildfires and withering heat. The Trump administration, however, says global warming is a hoax. This is a dangerous view with potentially grave implications. But the harm of the Trump administration touches all Americans with deregulation. The agenda of Trump mirrors that of Ronald Reagan -- and other presidents. 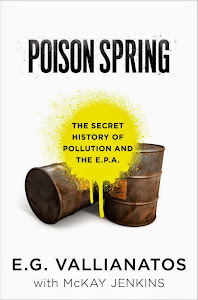 I worked at the EPA from 1979 to 2004, through five administrations (both Republican and Democratic), and watched firsthand how industry guided deregulation, expertly subverting EPA charged with protecting our health, our drinking water, and the air we breathe. Several of my colleagues who opposed deregulation gave me their work: letters, memos, reports and scientific studies. I talked to them over two decades. I witnessed the countless ways that industry manipulates our government, with dire consequences no less toxic than those of the Trump administration. With the assistance of highly placed industry appointees in both the White House and Congress, chemical and agricultural giants essentially control the actions of EPA. The agency routinely shrinks from enforcing the law; does little to bring bad practices to an end; overlooks evidence of wrongdoing; ignores the rapid increase of cancer and other diseases corresponding to the rapid spread and increase of the use of toxic chemicals; and fails to keep polluting companies accountable. Here’s how it works. Corporate lobbyists meet almost daily with EPA scientists and managers, muscling their corrupt science and pressuring them to say yes to industry proposals. This task is made easier when – as often happens – industry’s chief lobbyists are former EPA political appointees, and senior EPA officials are former industry heavyweights. The captains of industry and EPA scientists speak the same technical language of science, which by its very nature is often ambiguous, evolving, and incomplete. But chemical companies are expert at presenting their data in a favorable light, emphasizing economic “benefits” and downplaying the dangers of the chemicals they want to license. With industry constantly browbeating Congress to cut the budget of the EPA, agency managers encourage scientists to think of their own wellbeing first, trumpeting the economic benefits of new chemicals and downplaying worries that might prevent a new product from reaching the market. EPA scientists quickly learn that challenging the corporate agenda can bring career-ending payback: their decisions will be questioned; their promotions and careers will be put at risk. EPA scientists learn not to ask many questions when they evaluate industry data about new pesticides, for example. I opposed the agenda of the “regulated” industry. I kept asking questions. I challenged senior EPA officials to justify the unethical practice of licensing neurotoxins for farming. These compounds are siblings of chemical warfare agents. Instead of discussion and change of bad practices, EPA officials accused me of not being a “team player.” Nerve poisons are still in the armory of the farmers. EPA’s industry bosses hand-pick the scientists to collect data or – inside the agency -- to adopt industry information and rubber stamp it as government policy. A product labeled “EPA Approved” loses its integrity. Any president and his appointees at EPA could have stopped this process of corruption, but they have so far chosen to favor the industry. When the pesticide makers alone make about $50 billion per year, bales of money end up in re-election war chests of politicians that promise to continue doing industry’s bidding. Once Trump is out of office, we must undo industry influence over EPA. The EPA must be redesigned to be independent of the industry and its lobbyists in the White House and Congress. 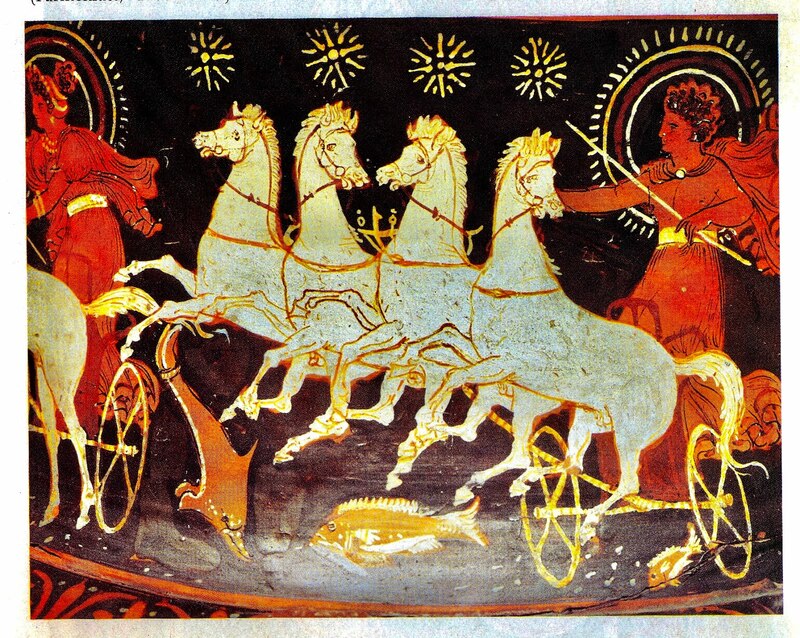 An independent EPA could look a lot more like the Federal Reserve, or the Supreme Court. Second, all chemicals in the market should be tested for public health and environmental effects. The chemical industry must not have the right to “test” its own products. Fraud plagued many industry-testing laboratories for decades. EPA shut down some of those laboratories. But with a compromised agency under the Trump administration, who is watching industry labs? An independent lab organization associated with a post-Trump EPA must become a national testing facility. Third, the “revolving door” between the industry and EPA must be closed. A minimum of five years must elapse before a senior EPA official can join the industry. Finally, whistleblowers – who see the corrupting influence of industry from inside -- need real protection. These changes may return the EPA to its original mission: protecting human and environmental health.